The Racing Times (AROUND THE TRACK): DOUG DIPISA.....THE OWNER.....LOOKING TO TAKE THE GOLD AT "NEW LONDON - WATERFORD SPEEDBOWL"
DOUG DIPISA.....THE OWNER.....LOOKING TO TAKE THE GOLD AT "NEW LONDON - WATERFORD SPEEDBOWL"
Growing up and being only fourteen years old, many kids didn’t know what they wanted to do, but Doug DiPisa had a plan. At the ages of fourteen and fifteen DiPisa was building his own race car. It wasn’t until he turned sixteen that he made the laps around the Riverside Park Speedway. After four to five races under his belt, DiPisa had to make a decision, being just a kid, DiPisa had a car to bring to the track, but not a truck and trailer to bring the car. “I was using my buddy’s truck when he went into the service, but he came back early and he needed his truck back,” commented DiPisa. So DiPisa gave his car to his brother Paul to race and thus starting his car owning days. From his early stint as a driver to the who’s who of drivers that spent time behind the wheel of a car he owned. Chuck Docherty, Woody Pitkat, Tommy Barrett, Tom Fox, Doug Coby and Teddy Christopher spent one point of their career behind a DiPisa owned Late Model or SK Modified. Docherty started it off for DiPisa and won a ton of races in a Late Model at the Park. He also ran the Trucks at Riverside and continued to win races. In 1999 Tom Fox, now the Race Director at Stafford, was tabbed to drive DiPisa’s SK Modified. His first modified stint as a car owner at Stafford managed to get Fox in the top ten in points. When Keith Rocco was tabbed to driver the modified that was owned by Guy Poulin (#78), this left an opening for Docherty. Docherty raced for a couple of years at Stafford and ran consistently and finished in the top ten in points with DiPisa’s modified #81. After the final two years, DiPisa decided it was time to get out of racing and sold everything. 2004 through 2007 DiPisa didn’t have a car that he owned on the track at all, but the itch came back in 2007 and Kerry Malone was tabbed as the driver for the season. Wall Stadium Speedway regular Steven Reed was commuting back and forth from New Jersey to drive for him as well. 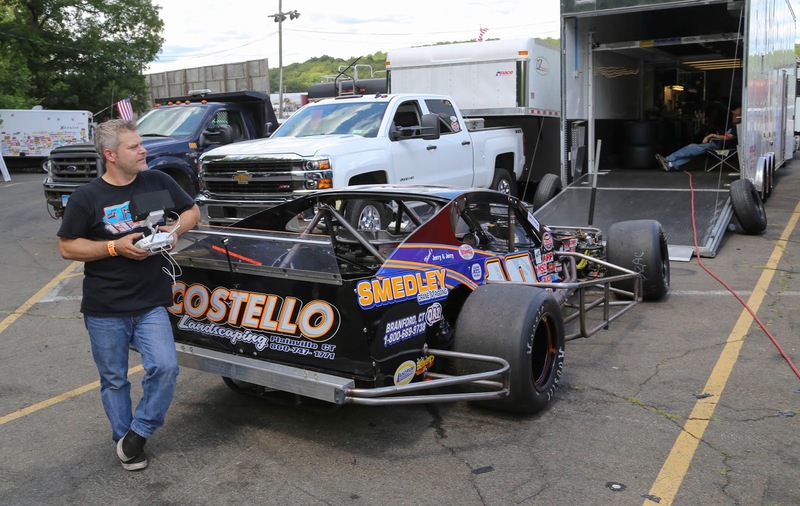 2013 DiPisa was ready for another break, and again it wasn’t for long before DiPisa was back, but this time his new home was the New London – Waterford Speedbowl with driver Doug Coby. It wasn’t a full time effort but any plans from there ended quickly as Coby was involved in an accident and pretty much the car was scrap. “We had a CD Chassis and the car was T-Boned and everything was bent except the center of the rear end,” explained DiPisa. So DiPisa went back to the garage and built a new car from scratch and he used his own design. For DiPisa the stress factor was gone after leaving Stafford. “Stafford raced on Friday nights and being a work day it was always tight and it was taking a toll,” explained DiPisa. The stress was gone, he was racing at a track that didn’t interfere with his Auto Glass Company and the biggest factor for racing at The Speedbowl was that his kids could get pit side and be with him. 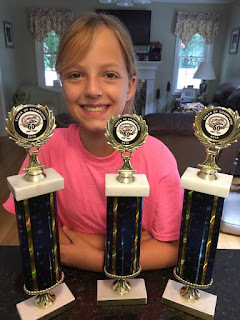 “That was the biggest factor into the decision to run The Speedbowl, my kids could get into the pits,” summed up DiPisa. Before getting his car back on the track DiPisa and his crew worked on the #56 of Nichole Morgillo at The Speedbowl, until Nichole decided to hang up her helmet for the time being. Returning back to “The Bowl” but now had modified ace Teddy Christopher now wheeling his new Troyer brand chassis modified. The two started of slowly but began to click and saw Teddy taking eight victories in 2015 and just missing out on the season championship even missing 4 races due to the tour schedule conflict. “It all started to gel, my brother Chris takes care of the tire's at the track. I myself with Bear and my crew take care of everything else,” stated DiPisa. 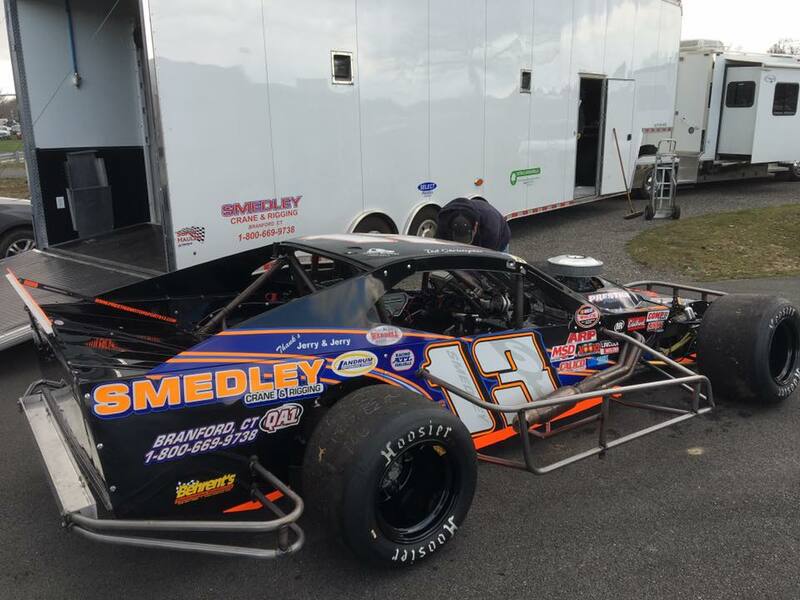 Towards the end of the 2015 season, DiPisa has had his modified at both Thompson and Stafford for the seasons big events. Which is on the agenda this year as well. 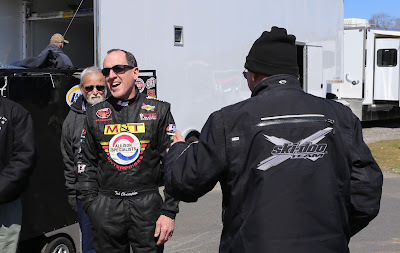 “We plan on running the big shows at Thompson again this year, but time will tell what else we would do with TC in the car,” explained DiPisa. In 2016, DiPisa will have two cars waiting for the New London – Waterford assault. What people may or may not know is DiPisa supplies the cars and Teddy supplies the motors. But who supplies what, the car is always fast and is always in contention for a win. The two modified's are not the only thing in the shop. Doug in the winter months built a Street Stock for crew member Adrian Paradise. So Paradise will be another driver running a car created by DiPisa at the Speedbowl this season. Talking about having a full plate, DiPisa on race day and always has over his career, spots for his driver, goes home and updates the website that he built and works about 80 hours a week for his Auto Glass Company that he owns. So trying to get a hold of Doug is next to impossible, but when you do your in for a treat. You can catch the DiPisa owned Smedley Crane and rigging sponsored machine at several fundraising events in the Fairfield and Westchester county area. Just a few weeks back DiPisa had the car at a Make A Wish event and will also be hauling the car to Little Italy in the Bronx for a car show there. 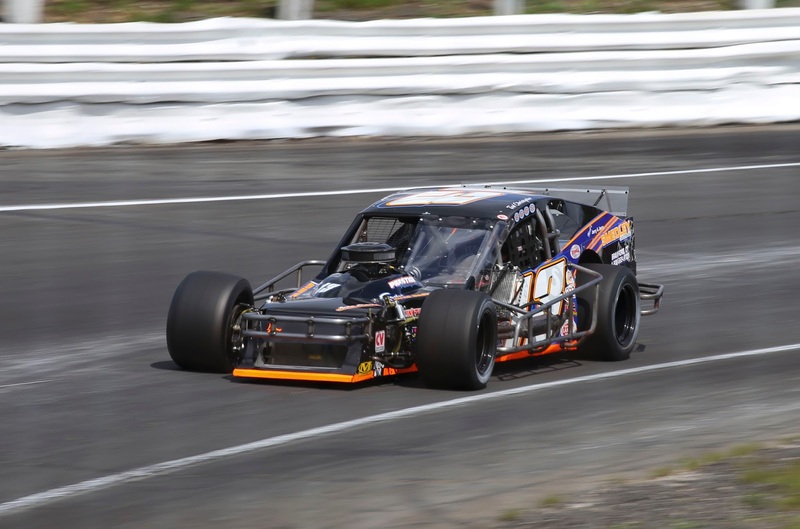 With Teddy as of right now running a handful of Whelen Modified Tour events, Teddy and DiPisa are focusing on the National Championship picture and winning the Championship at the New London – Waterford Speedbowl. To say Teddy is ready for the run is a understatement, he built an exact replica of the DiPisa owned Speedbowl car and is looking to take the Championship at Stafford as well. 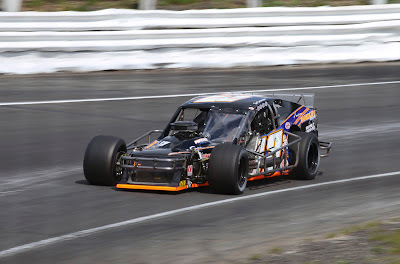 Look for the DiPisa led team to come out with a bang and improve on last year’s eight wins and to make a statement in the SK Modified division.